Pre-Selling Now! Contact info@BostonLuxuryFlats.com to schedule an appointment! June 13th, 2017 marked the official groundbreaking date for Echelon Seaport, a 1.33 million-square-foot Seaport District development by Cottonwood Management. 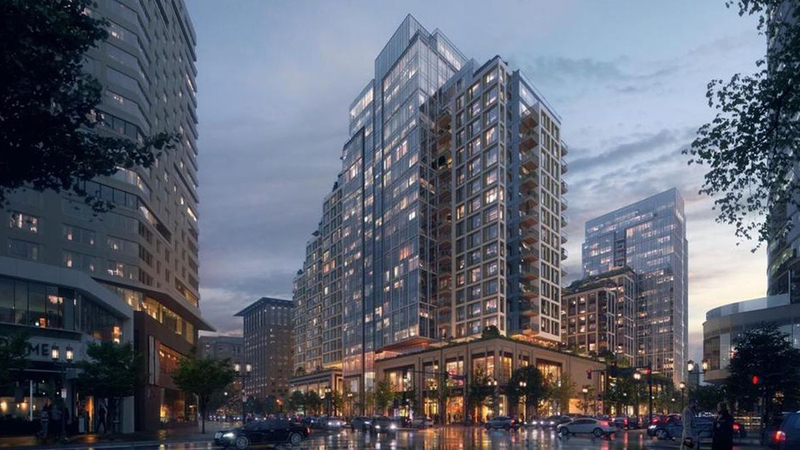 Comprising three buildings, two towers of which will comprise condos, this entire project will span more than three and a half acres converging at B Street and Seaport Boulevard. This is another major addition needed in the highly sought after luxury condo market in the Seaport area. With construction slated for completion in 2020, it will be some time before we see the finished product. However, it’s on tap to be one of the biggest and best Boston’s Seaport has ever seen. In fact, it’s being touted as the largest residential development in the Seaport District, with this block being the largest single amount of for-sale housing within this gorgeous neighborhood. You already know what an amazing place the Seaport neighborhood is. But here are four fast facts about Echelon Seaport, in particular, you should know about this revolutionary condo offering in the city’s most beautiful area.This is a three-building project that will include 733 luxury condos and apartments. Two 21 story towers will be home to 448 luxury condos. The third tower will be home to 285 luxury apartments. The towers will span a total of 1.3 million square feet. Contact Boston Luxury Flats at info@BostonLuxuryFlats.com for information on pre-sales, pricing, floor plans and amenities.